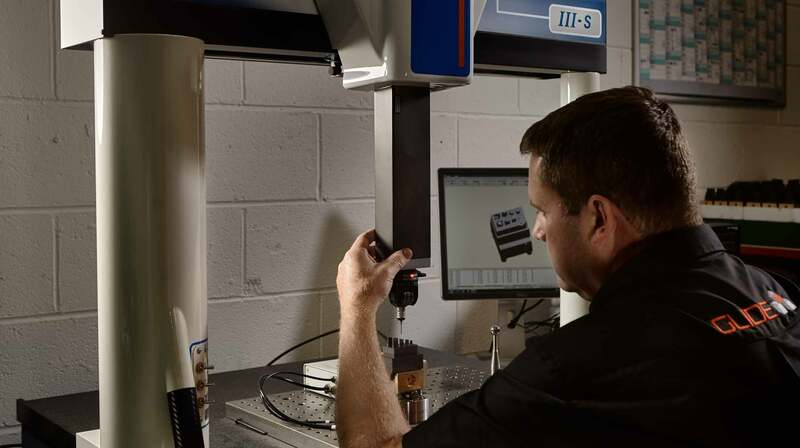 We use on-site 3D Laser Scanning for the precision measurement of tooling and products to an accuracy of 5 microns. This allows our quality staff to accurately verify all the form of cores, electrodes and dies prior to final build ensuring our tooling will be dimensionally ‘Right First Time’. 3D Laser Scanning captures the entire part geometry for inspection or reverse engineering purposes covering both freeform surfaces and geometric features. Our LC15Dx Nikon 3D Laser scanner with a probing error of 2.5µm (0.0001in) accuracy is used with a LK Coordinate Measuring Machine (CMM) and the resulting digital point cloud forms the backbone of a powerful digital inspection process that streamlines inspection processes, reduces time to market and cuts development costs. 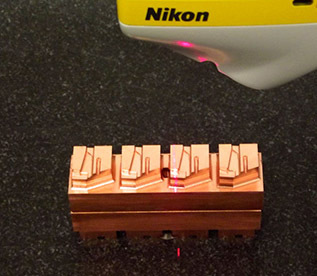 3D Laser scanners are used with a CMM and the resulting digital copy forms the backbone of a powerful digital inspection process that streamlines inspection processes, reduces time to market and cuts development costs. If there are 2 or more products that are scanned, we can compare the differences between the multiple objects and show where each part differs to each other and to the original CAD file. If a 2D pdf tolerance drawing is supplied we will be able to compare dimensions we extract from the scanned model with the dimensions on your 2D drawing creating an instant report for product approval or an Initial Sample Inspection Report (ISIR).